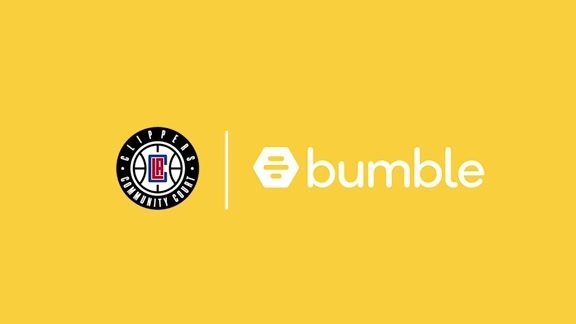 Bumble and the L.A. Clippers are partnering to advance gender equality through the debut of the Bumble-branded “Empowerment Badge” which is proudly featured on Clippers jerseys. Proud to stand with Bumble for diversity and gender equality. The #StrongerWithHer hashtag is a movement meant to be shared in representation of a woman who inspires, uplifts and motivates you in a positive way. 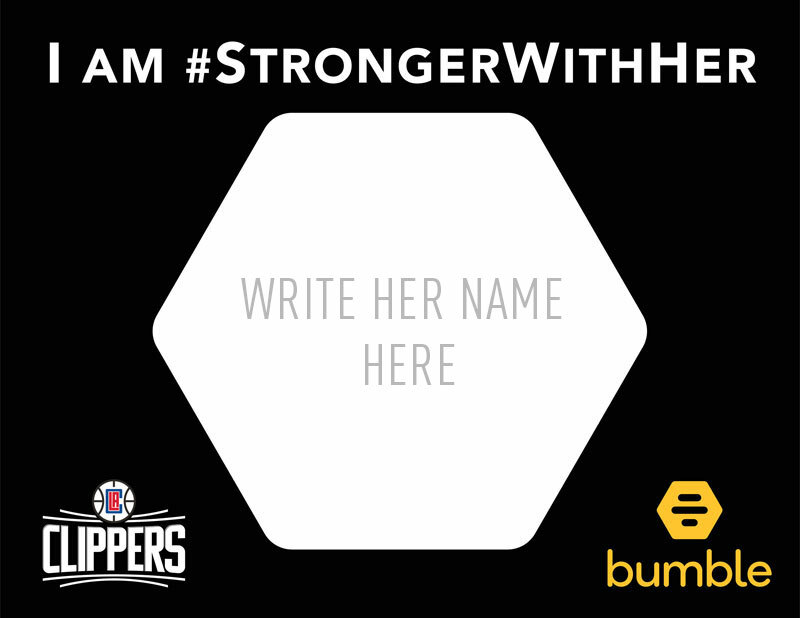 Download and share you’re #StrongerWithHer by writing the name of someone you’re stronger with in the hexagon and posting the image or photo on your social media platforms. 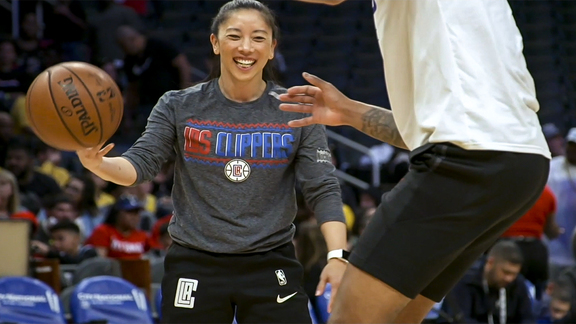 Assistant coach Natalie Nakase started as a video intern, worked her way up the ladder, and his now coaching at the highest level. In partnership with Bumble, here is her story. For General Counsel and Vice President Nicole Duckett, the key to being successful in her career is a commitment to being the best at what she does. In partnership with Bumble, here is her story. 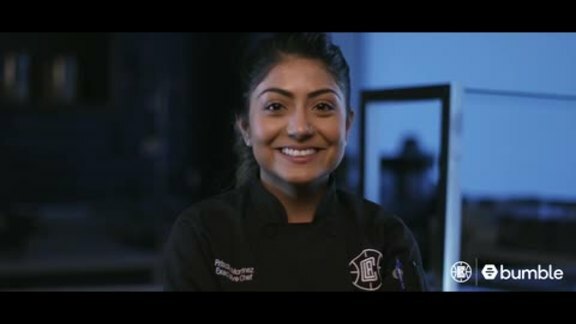 For Team Chef Priscilla Martinez it has been her mother's strength which has given her the courage to pursue her dreams. In partnership with Bumble, here is her story. With the goal of leveling the playing field for ALL children, from all economic levels and geographic parts of LA, the Clippers and Steve and Connie Ballmer have made a multi-million-dollar gift to the city that is funding the updating of 350 indoor and outdoor basketball courts at City of Los Angeles Department of Recreation and Parks facilities. 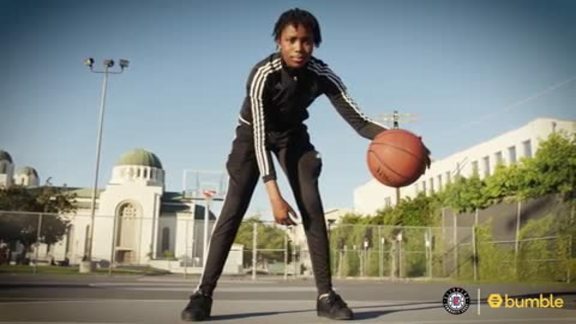 There is currently a lack of premium public athletic space for the city of LA, which ends up affecting young girls in more ways than it does young boys. 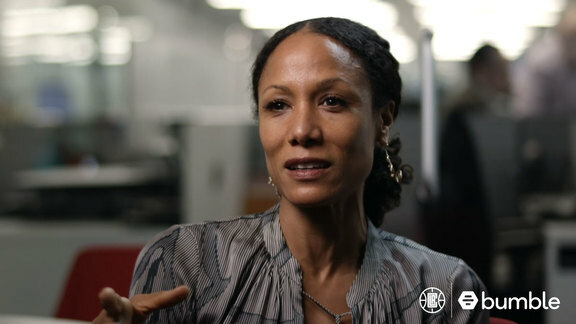 The City of Los Angeles’ Girls Play L.A. initiative has proven that investing in facilities and programming for young women makes a huge difference in how young women approach life as children AND adults. In Partnership with Bumble, we are telling these women’s stories. With the goal of leveling the playing field for all children, the Clippers and Steve and Connie Ballmer have teamed up with the City of Los Angeles to renovate 350+ courts across LA. 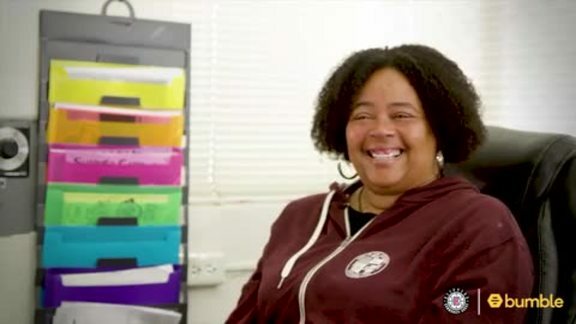 In 29 years working for the city of LA, Ellen’s goal has remained the same: To provide every child with a safe and enjoyable environment to play. The court at her facility is one of 350 being renovated across the city. In partnership with Bumble, here is her story. Meet Haylee. Her life has been full of ups and downs, but the one thing that has remained consistent is her love for the game of basketball. Normandie Park, where she plays, is one of 350 being renovated across the city. In partnership with Bumble, here is her story.